Summer is here and sunny days are in the forecast. As you head out to enjoy the weather, capture your experience of a favorite place that Mayer/Reed had a hand in shaping. We’re inspired by the moments of joy, beauty and reflection that have been submitted to our Beyond Opening Day call for entries. Send us photos of your summer bliss. 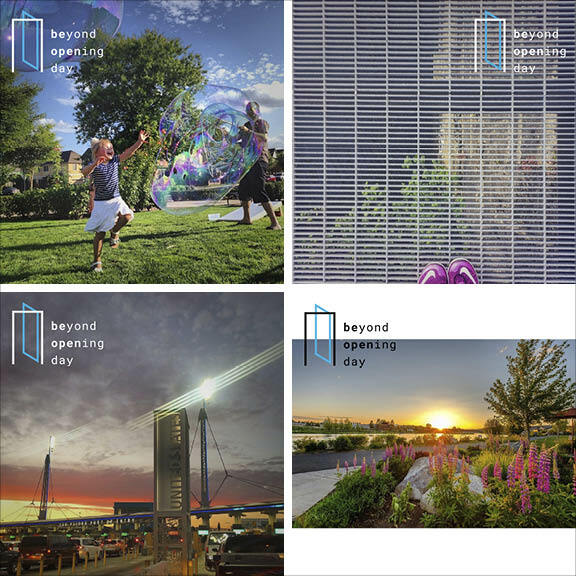 Whether it’s bubble play at Sofia Park in Wilsonville, a morning jog along the Eastbank Esplanade in Portland, a sunset in the Old Mill District in Bend, returning home from Mexico at the San Ysidro border crossing or an experience at any other Mayer/Reed project, tag your Instagram posts with #mayerreedphoto or send photos to callforentries@mayerreed.com to enter the call for entries for our photography exhibition. Submit your images by July 31st! The Friends of the Columbia Gorge have big plans in the works for Oregon and Washington’s famed recreation destination. A 200-mile trail system connecting small towns, farms, wineries and wild areas will open opportunities for multi-day adventures, create contiguous areas of protected lands and support Gorge economies by connecting trails to communities. With nearly 80% of the land for the “Towns to Trails” loop secured and 40% of the trails in place, the plan for this new adventuring idea is moving closer to reality. Mayer/Reed developed a video for Friends of the Columbia Gorge to share this vision. It quickly received recognition; inspiring KGW’s travel segment, Grant’s Getaways, and Willamette Week to feature the Towns to Trails project. Years of planning, rounds of design, site explorations and valuable community conversations and public agency support have all shaped our vision for the Blue Heron site and The Willamette Falls Riverwalk in Oregon City. Plans and images of this along-awaited, legacy project were revealed this week at a media event on this intriguing 22-acre post-industrial riverfront site. 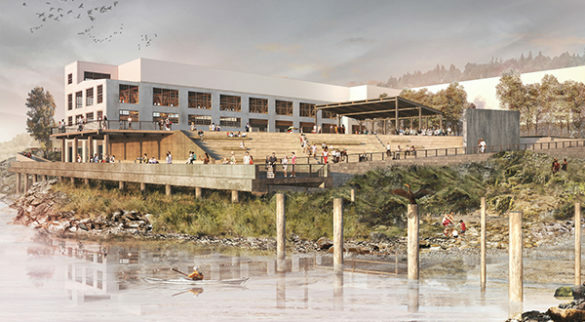 Thank you to everyone who joined members of the Design Collective – Snøhetta, Mayer/Reed and DIALOG – for the first public viewing of the concept on Saturday, June 3rd, at the Willamette Falls Riverwalk Design Celebration. It was our pleasure to discuss the design of this complex site, assemble a time capsule and raise a glass to toast the success of the project! The team is beginning work on detailed design and construction drawings for the first phase of the riverwalk, with ground breaking scheduled for next summer. Check out willamettefallslegacy.org for the latest project news and progress.